Antibiotice was awarded the “National Award”, first place under the category “Industry – large enterprises, manufacture of basic pharmaceutical products” at the most important business event of the year. The award ceremony took place on November 10th in Bucharest, at the Gala of Top National Companies firms organized by the Chamber of Commerce and Industry, the most important institution representing Romanian business. The National Top of Companies which is considered a benchmark of business performance has awarded prizes to the most powerful Romanian companies, based on a complex methodology of ranking, implemented uniformly by every Chamber at county level. The indicators analyzed included: net turnover, operating profit, operating profit rate, human resources and equity efficiency. “We thank the Chamber of Commerce and Industry of Romania for the honorable distinction. This recognition of our business performance indicates that over time we reached our business objectives, we have evolved as professionals and we have become an authentic Romanian brand with international recognition. Antibiotice is a success story written over 60 years by dedicated people who have invested both science and soul, “said Ioan Nani, Antibiotice CEO, who dedicates this award to all colleagues and employees of the company. 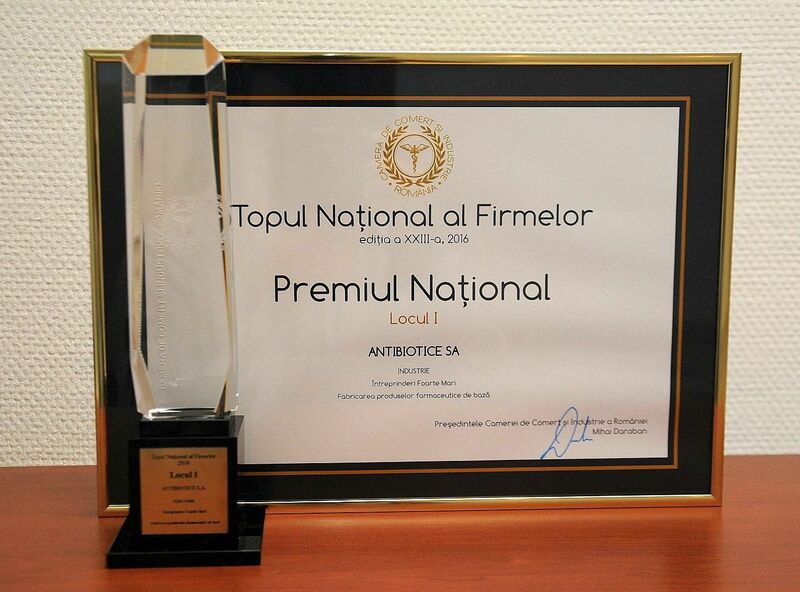 At the same time, Antibiotice’s performance is recognized locally, where the company ranks first in the Top Companies in Iasi. world’s leading producer of Nystatin.